It’s not often Manchester has something interesting in the sky. 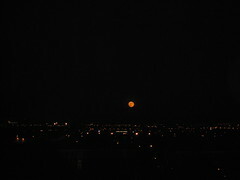 Yesterday the moon was rather large and rather orange, so I tried to take a photo. The full moon in February is sometimes referred to as the Snow Moon or Wolf Moon.